Swap 4 wheels for 2 with a distinctly unique Segway experience. With expert training and plenty of practice, you'll be able to control a Segway using your body and balance. Take on a specially designed Segway rally course, tone it down with a glide through scenic countryside or up the ante with a speed challenge. 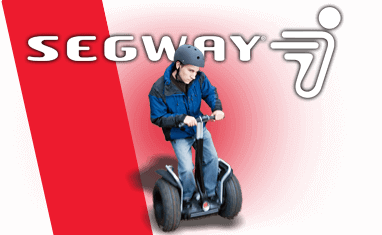 See the full range of Segway driving experiences on offer below. One of the most unique experiences we have on offer is our Segway experience. Swapping four wheels for two, you will have the opportunity to zip around the UK countryside on an electric Segway. Now, this may seem a daunting prospect having never set foot on a Segway before, but don’t worry, our expert instructors are on hand to ensure you get to grips with the mighty Segway as soon as possible. Using your body and balance you will learn to control the Segway and then make your way onto our specially designed rally course. Before you know it you will be zipping through the countryside on our two-wheel electric vehicles having the time of your life. Our Segway experiences are designed to test your body’s natural skills of balance and body movement. These unique experiences offer a ton of laughs and give you the opportunity to do something different on your day out. The Segway uses gyroscopic and tilt sensors to maintain balance while riding, while the electric motors in the wheels wizz you along in the direction you lean. Our expert instructors will make sure you are kitted out with all the safety equipment required and ensure you are comfortable and confident on the Segway prior to letting you loose on the course. 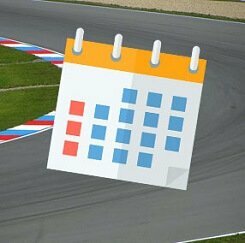 Why not pair our Segway experience with another exciting track day? You could spend your morning roaring round a race track in a V8 Ferrari, then follow it up with an afternoon passing through the country in complete silence. Based at Prestwold Hall, Leicestershire the venue is a purpose built facility specifically for driving experiences. As well as a 1.8-mile track with fast straights and high-speed corners, it also has a shorter Southern Circuit, 2 rally stages (asphalt and gravel) and a 4x4 off-road track. Suitable for everyone and great fun whether you fancy a majestic glide through the countryside or feel the need for speed and a challenge. Here at Trackdays.co.uk, you will find all of our awesome packages which make great gifts for any motoring fans. You can order a 10-month gift voucher or book directly onto a date.